Manufacturing « What Happened to the Portcullis? Britain – a Free Trade Zone? Forget increasing the number of Free Trade Zones at and around UK ports, real thought should be given to whether Britain could become a nationwide FTZ, a panel discussion at Multimodal heard today. The discussion, organised by the Chartered Institute of Logistics and Transport, weighed the advantages and disadvantages of setting up more FTZs as Britain’s starts its exit journey from the European Union. 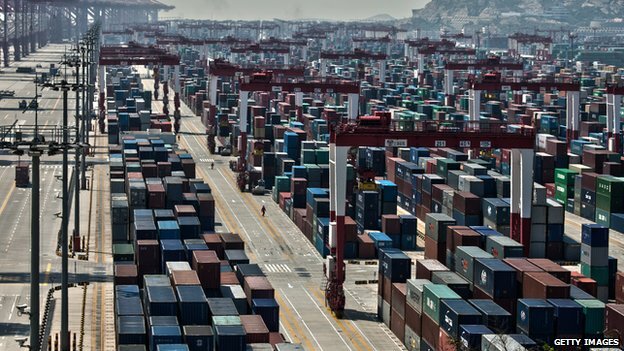 While Geoff Lippitt, business development director at PD Ports, said that there was no “desperation for the traditional type of FTZ”, he conceded that as UK ports enter a new post-EU member era, any method that could improve the competitiveness of the nation’s exports should be considered. Tony Shally, managing director of Espace Europe, added that FTZs would give the UK a great opportunity to bring manufacturing back to the country. Bibby International Logistics’ managing director Neil Gould went a step further, calling for the creation of a ‘UK FTZ’, to facilitate a joined up environment in which it is easier to move trade. “We need to think how we work together as an industry and how we join everything up to make the UK more competitive,” he said. 3D Printing is an interesting invention which foresees some radical developments in the manufacturing and logistics space in years to come. It also suggests that Customs administrators need to monitor these developments as they may likewise have a profound effect on how the actors in this space operate, including possible changes to legislative and compliance models. DHL has released its latest Trend Report – 3D Printing and the Future of Supply Chains. DHL has been testing a variety of both 3D printing hardware and techniques for several years and has identified applications that have potential to redefine manufacturing and supply chain strategies. While the 3D printing market is estimated to grow between US$180 billion and US$490 billion by 2025, the report however finds it will not become a substitute for mass-production but a complementary process. Ther report recognizes 3D printing as a transformative technology. However, it is not a magic bullet that will render factory mass production and manufacturing obsolete. Its exciting potential lies more in its capability to simplify the production of highly complex and customizable products and spare parts – and this could bring logistics and manufacturing closer together than ever before. Also known as additive technology, 3D printing involves manufacturing products by layering heated plastic or metal injected from the nozzle of a 3D printer onto a plate to create a three-dimensional object, potentially replacing processes such as forging and molding at a fraction of the cost. It can lead to improved product quality, multiple products being made by a single printer, new types of products – and new supply chain strategies and models. Factors currently limiting more widespread adoption of 3D printing – around since the 1980s – include lack of management knowledge, economic and technological issues. Many printers can use only one material and costs are still high for industrial-grade 3D printer. As well as facing warranty, liability and intellectual property issues, 3D printing needs to become faster, more agile and more advanced before it can become a core production technology. The report, South Africa Economic Update 5: Focus on Export Competitiveness, examines the performance of South Africa’s export firms against that of peers in other emerging markets— and analyzes the challenges. It assesses South Africa’s economic prospects in the context of the global economic environment and prospects. With this Economic Update, we hope to enrich the on-going debate on growing a sector critical for South Africa’s economic growth. As with previous editions, this report is intended not to be prescriptive but to offer evidence-based analysis that will help bring South Africa’s policymakers, researchers, and export stakeholders closer to finding innovative and sustainable ways to grow the sector. The report highlights opportunities for growth, particularly with Sub-Saharan Africa being the largest market for non-mineral exports. It also explores strategic directions that can ignite export growth and help South Africa realize its goals of creating jobs and reducing poverty and inequality. Boosting domestic competition would increase efficiency and productivity. By opening local markets to domestic and foreign entry, South Africa would enable new, more productive firms to enter and place downward pressure on high markups. This would lower input costs and tip incentives in favor of exporting by reducing excess returns in domestic markets. Competition would also stimulate investment in innovation and, over time, condition the market to ensure that firms entering competitive global markets have reached the productivity threshold to support their survival and growth. Alleviating infrastructure bottlenecks, especially in power, and removing distortions in access to and pricing of trade logistics in rail, port, and information and communication technologies would reduce overall domestic prices and further enhance competitiveness. It would be especially beneficial for small and medium-size exporters and non-traditional export sectors, which these costs tend to hit harder. Promoting deeper regional integration in goods and services within Africa would generate the right conditions for the emergence of Factory Southern Africa, a regional value chain that could feed into global production networks. South Africa could play a central role in such a chain, leveraging the scale of the regional market, exploiting sources of comparative advantage across Africa to reduce production costs, and providing other countries in the region a platform for reaching global markets. Progress on all three fronts would help catapult South Africa toward faster-growing exports, allowing it to realize the higher, more inclusive, job-intensive growth articulated in the National Development Plan. Thanks to the kind reader who passed me this story. BBC News Environment correspondent, Matt McGrath, reports that current methods of measuring the full material cost of imported goods are highly inaccurate. In a new study, researchers have found that three times as many raw materials are used to process and export traded goods than are used in their manufacture. Richer countries who believe they have succeeded in developing sustainably are mistaken say the authors. The research has been published (click hyperlink to access the report) in the Proceedings of the National Academy of Sciences. Many developed nations believe they are on a path to sustainable development, as their economic growth has risen over the past 20 years but the level of raw materials they are consuming has declined. According to Dr Tommy Wiedmann University of New South Wales “We are saying there is something missing, if we only look at the one indicator we get the wrong information”. This new study indicates that these countries are not including the use of raw materials that never leave their country of origin. The researchers used a new model that looked at metal ores, biomass, fossil fuels and construction materials to produce what they say is a more comprehensive picture of the “material footprint” of 186 countries over a 20 year period. In this analysis, the Chinese economy had the largest material footprint, twice as large as the US and four times that of Japan and India. The majority comes from construction minerals, reflecting the rapid industrialisation and urbanisation in China over the past 20 years. The US is by far the largest importer of these primary resources when they are included in trade. Per capita, the picture is different, with the largest exporters of embodied raw materials being Australia and Chile. According to the model, South Africa was the only country which had increased growth and decreased consumption of materials. The researchers believe their analysis shows that the pressure on raw materials doesn’t necessarily decline as affluence grows. They argue that humanity is using natural materials at a level never seen before, with far-reaching environmental consequences. They hope the new material footprint model will inform the sustainable management of resources such as water. The authors believe it could lead to fairer and more effective climate agreements. Why Do We Import Cure-Dent From China? The following article is a lesson for all aspiring enterpeneurs on the African continent. I got curious about the small, mostly unnoticed item in Kigali, what we like to call ‘cure-dent’, the tooth pick. This is how I stumbled onto the fact that we import toothpicks. Yes we import toothpicks from China. Toothpicks here are a symbol for all the things we could make ourselves but import. It got me wondering – just how complicated is it to make a toothpick? Firstly, toothpicks are made from bamboo and we have plenty of that in Musanze. In any case bamboo can be cultivated. It grows fast and there are new genetically modified reach heights of over 15 metres. A little time on Google showed me that it does not take very much to make them. Indeed the whole process can be done in a woodwork workshop. The process from splitting the bamboo to sharpening the toothpicks takes less than half an hour. That is about 100 packets of toothpicks. The reason we give for imported stuff is supposedly because we do not have the technology required to make it. This is clearly not true in this case, and, I bet, in the case of a lot of other imports. Toothpicks are very cheap. They go for between Rwf100 and Rwf500 for each small packet. This is after all the manufacture, freight, taxes and, of course, the shopkeeper’s profits have been considered. Maybe this is why we consider it not to be a profitable venture. Would making toothpicks be profitable? The answer is yes. Let us consider two reasons. One – the Chinese are not known for time wasting. If they would engage in this enterprise to this extent, they must be something in it. 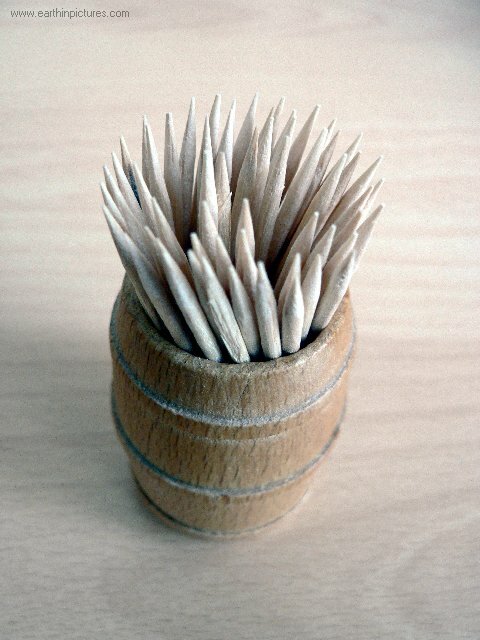 Two – consider being able to make 100 packs of toothpicks in half an hour. That makes 200 per hour and 1600 per eight hour day (you are by no means tied to this. If you sell them at Rwf50 per pack, you will be grossing Rwf80,000 per day. Now that is profit! Where is the market? Are we not in the East African Community? We have to start exporting beyond the agricultural produce. Why is urwagwa and akabanga not on the shelves of Kenyan, Ugandan, Tanzanian and Burundian shops? Why are we always importing? If we are importing toothpicks what do we not import? Unfair Balance of Trade and its accompanying Balance of Payments in addition to aid dependency are the main propagators of poverty in our country. They give us aid… .we use it to buy their products, down to toothpicks! If we are to make it to self-sufficiency we have to manufacture and export. The journey to self-sufficiency must precede self-reliance. As Bob Marley would say, “We gotta be conscious”. Article by Sam Kebongo writing for the Rwanda New Times. Free zones are often seen as a cure-all remedy to the problems developing economies encounter when trying to attract FDI. However, the reality is that such projects need careful planning and long-term support if they are to fulfil such wishes. A report published by fDI Magazine, and featured online – fdiintelligence.com – covers the topic quite comprehensively. While the article it is titled ‘Free Zones’ it’s not quite certain whether all developments sited follow the same business model. Nonetheless it provides some interesting insight to developments across the globe. Of particular interest for Africa are references to developments in Rwanda, Botswana, and the Gambia. In the case of the latter, the Gambian government’s decision to legally enable companies to operate as standalone zones, whereby businesses are permitted to enjoy the benefits of being a ‘free zone’ entity without having to establish in the country’s business park, could enable Gambia to attract investors who wish to have a greater degree of choice over the location of their premises. “while the idea of clustering several companies from a few specific sectors sounds promising on paper, in practice this can be detrimental to foreign enterprises”. The Minister of Trade and Industry, Dr Rob Davies says ten potential Special Economic Zones (SEZs) have been agreed upon with provinces. He told the Portfolio Committee on Trade and Industry in Parliament on Friday, that these potential SEZs must still go through a feasibility study to determine their viability. The Department of Trade and Industry was presenting the Special Economic Zones (SEZs) Bill to the Portfolio Committee. The main objectives of the SEZ Bill, amongst others, are to provide for the designation, development, promotion, operation and management of Special Economic Zones; and to provide for the establishment of the Special Economic Zones Board. The SEZs are designed to promote socio-economic benefits and creation of decent work. The purposes of the SEZs include facilitating creation of an industrial complex with strategic economic advantage for targeted investment and industries in manufacturing sector and tradable services. This will also focus on developing infrastructure to support development of targeted industrial activities and attracting foreign and domestic direct investment. Hopefully Trade and Industry will clarify for both public and investors the differentiation between the four options. From a Customs and Tax perspective there could be divergent legal requirements, formalities and processes. The sooner that this can be finalised all the better for the various ‘zones’ to commence with their vigorous marketing campaigns. Davies told the Committee that the Industrial Development Zones (IDZs) will continue to be one of the elements of the Special Economic Zones (SEZs). The IDZ programme was initiated in 2000 and four zones were designated, with three currently operational: Coega (Port Elizabeth), East London and Richards Bay. 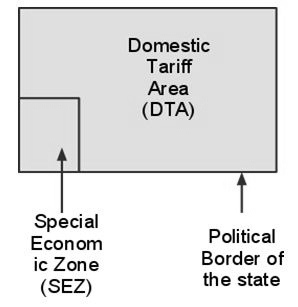 The IDZs including the current ones are types of the SEZs and once the new the Act is passed they will form part of the Special Economic Zone programme, according to the minister. The existing industrial development zones (IDZs) were beginning to gain traction because of the way they were managed and promoted. He cited the example of the East London IDZ, which had a private sector investment of R600 million in 2009 compared to R4bn in 2012/2013. Work under the current IDZ regulations include the Saldanha Bay which is about to be designated. The Saldanha Bay Feasibility Study published in October 2011, found that there was sufficient non-environmentally sensitive land upon which an IDZ development could take place. Total direct and indirect jobs are expected to amount to 4 492 in the first year, 8 094 in the second year, 7 274 in the third year, 10 132 in the fourth year and 14 922 in the fifth year. From the seventh year around 14 700 direct and indirect jobs would be sustained in the province as a result of the IDZ. Saldanha Bay is an ideal location for the development of an Oil & Gas and Marine Repair Cluster. The Port of Saldanha Bay is also competitively located between the oil and gas developments on the West Coast of Africa, as well as the recent gas finds on the East Coast of Africa. The SEZ bill would provide a legal framework for the zones and for granting special incentives for businesses operating there such as duty free inputs. He said major areas of agreement had been reached between business‚ labour and community representatives in the National Economic Development and Labour Council. Labour wanted to have three Nedlac representatives on the 15 member SEZ boards and the department had agreed to this on condition they met the criteria in terms of qualifications and knowledge. Nine representatives would be from government and there would be three independent experts. Business argued against municipalities having the right under the bill to propose SEZs as it said this was not their core business and they lacked the capacity for this. 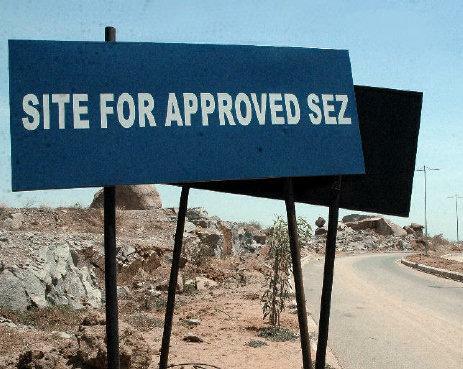 The department however decided to retain this clause‚ October said‚ because there were municipalities which did have this capacity and in any event the applications for SEZs would undergo rigorous evaluation. Airport Cities – a view to a different trading environment for South Africa? 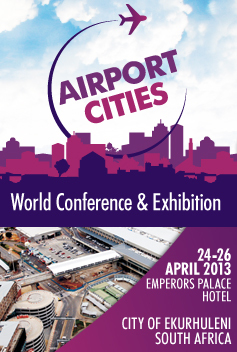 This past week witnessed the first Airport Cities Convention in South Africa. It came at the timely announcement of the country’s first aerotropolis earmarked for development around Oliver Tambo International airport (ORTIA) and the surrounding industrial complex. While the City of Ekurhuleni gets prized possession of the ‘aerotropolis’ (in title) by virtue of the location of ORTIA, Johannesburg is set to benefit perhaps more greatly due to it being the epi-centre of South African commerce and trade. This represents significant ‘hinterland’ development which bodes well for future multi-modal transport and shipping activity for the Gauteng region and the country as a whole. In support of government’s National Infrastructure Plan, is Strategic Integrated Project (SIPs) 2, otherwise known as the Durban-Free State-Gauteng logistics and industrial corridor. Infrastructure upgrades are already occurring to road and rail networks linking to the key cargo and distribution hub, City Deep. While the express purpose of an inland port, terminal or logistics hub is to provide relief for congested seaports, it likewise creates possibilities and opportunities to synergise with other transport forms. This serves to maximise capacity through integration offering local suppliers and foreign customers a host of trade, shipment and logistics options. In a world of increasing global integration, focussing more on global distribution of goods and services, it behoves our country to understand the dynamics of global trade and what in fact makes commerce tick. Today’s number 1 spot is not going to remain intact without continuous re-evaluation and innovation. It would indeed be arrogant (if not suicidal) of us to think that our current prominence and strength in the sub-saharan region will remain without innovation for the future. At the same time South Africa should welcome increased competition from its neighbours, both immediate as well as further north in Africa. The latest fDI 2013 Report indicates a decrease in foreign direct investment in South Africa (-5%) and Kenya (-9%), while at the same time a significant increase in foreign investment in Nigeria (+20%) and Egypt (+20%), respectively. True, the latter countries are far removed from South Africa’s immediate ‘playing field’, however do we fully understand the drivers which cause the named countries to attract FDI at such an increasing rate – are they capitalising somehow on our deficiencies, shortcomings, or lack of opportunism? The National Infrastructure Plan can only be seen as a single cog in the machinery to keep South Africa competitive. And, while it is encouraging to witness these developments, a corresponding economic and commercial enterprise on both government and private sector is required to maximise these developments. Some smidgen of hope could lie in the Department of Trade and Industry’s economic principles which support Industrial Policy Action Plan (IPAP) and Special Economic Zones (SEZs), for example, however, several business commentators have already voiced concerns on exactly how these support the Infrastructure Plan. A further question lies in our country’s ability to facilitate trade, not only at our ports, but more importantly the ‘hinterland’ of our country and the neighbouring regions. Do our existing and future laws adequately provide for expeditious and facilitative procedures in the treatment of import and export goods? 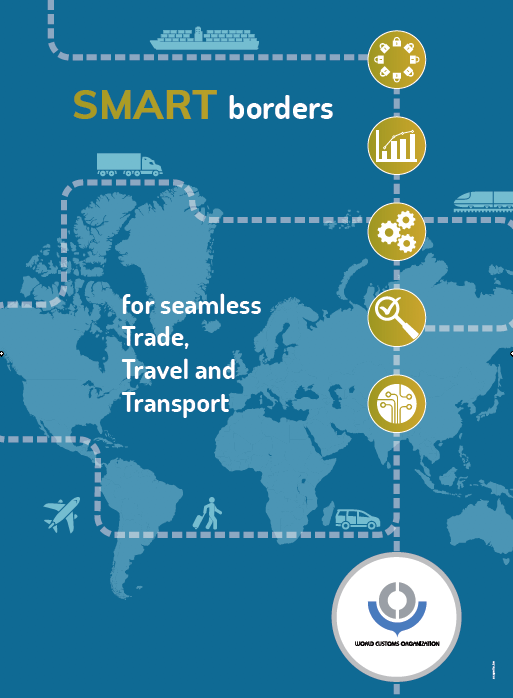 Are we sure that we are addressing all real and potential trade barriers? The Gauteng Provinicial government has announced that Africa’s busiest airport, OR Tambo International Airport is set to become the location for the continent’s first aerotropolis. Work on the development of the aerotropolis, centred at OR Tambo International Airport, seeks to leverage public and private sector investment at the airport and surrounding areas. In supporting industrial development in this precinct, approval has been granted for the creation of an Industrial Development Zone (IDZ) in the area surrounding the airport. Heard this all before, but what’s different this time around? Jack van der Merwe, who successfully oversaw the development of the Gautrain project, has been appointed to lead the initiative of developing the aerotropolis. The proposal for the airport to become a terminal city with air, rail and road networks fuelling economic development. It is envisaged to include a commercial component, hotel, conferences, exhibitions and a residential component. One of the key initiatives of the national government is the e-Thekwini-Free State-Gauteng freight and logistics corridor, known as the Strategic Infrastructure Project 2 (SIP2), which seeks to improve the movement of goods from the Durban port to Gauteng, and to business enterprises nationally as well as in southern Africa. City Deep/Kazerne cargo terminals and the planned Tambo-Springs Freight and Logistics Hub are to be the focal points for the movement of goods for the export market. Phase 1 of the City Deep/Kazerne Terminal expansion and roads upgrade was underway at the continent’s largest and busiest in-land container terminal. This includes a redesign and upgrading of the roads network in and around the City Deep Terminal to provide for better flow of freight traffic and linkages with the national highways – the cost of the road works would amount to R122 million. At some point the issue of non-tariff barriers to import/export trade will need to be discussed…..and overcome. Transnet has completed the first phase in the actual improvements of the terminal. It will be investing R900 million in upgrading the terminal. A detailed road design work, including feasibility studies and the development of a master plan, are underway for the Tambo-Springs Inland Port. Now, we’re talking……. Gauteng Province is to get 2 484 new modern trains as part of the Passenger Rail Agency of South Africa (PRASA) rolling stock for fleet recapitalisation and refurbishment programme. The province will be making major investments in road infrastructure in the coming financial year and these include reconstruction and upgrading of the R55 (Voortreker Road) to a dual carriageway road between Olievenhoutbosch and Pretoria West; rehabilitation of the remaining section between Main Road and Maunde Street in Atteridgeville; reconstruction and upgrading of William Nicol Drive (K46) between Fourways and Diepsloot as well as reconstruction and improvement of the remaining section of the Old Pretoria to Cullinan Road between the Chris Hani Flats and Cullinan, among others. Wow, and the toll fees? So, all-in-all, the above together with other recent noises of incentives and benefits for foreign and local investors in SEZs, the future holds some promise and interest…..
After more than a decade of fruitless marketing and billions spent on capital investment, Budget 2013 brings some hope of a turn-around and better fortunes for economic development zones in South Africa. Minister of Finance, Pravin Gordhan announced, what is an unprecedented move. to bolster support for government’s Special Economic Zone (SEZ)programme. Investors in such zones are expected to qualify for a 15% corporate tax rate, and in addition, a further tax deduction for companies employing workers earning less than R60,000 per year. This is a significant development in that the previous dispensation under the Industrial Development Zone (IDZ) programme only afforded prospective investors a duty rebate and VAT exemption on imported goods for use in the Customs Controlled Area (CCA) of an IDZ. The reality is that these benefits were simply not enough to woo foreign company’s to set up shop in our back yard, let alone existing big business in South Africa to relocate to these zones. Mozambique, next door, has had much success as are other African countries through the offering of company tax holidays with the introduction of export-focussed special manufacturing facilities. The SEZ (so it would seem) differs little from the IDZ approach save the fact that the former does not require the location of the economic zone at an international airport, seaport or border crossing. As such, an existing IDZ may ‘house’ a special economic zone, thus maximizing return on investment. Recent developments in SA Customs realise a provision permitting foreign entities to register as importers or exporters under the ‘foreign principal’ clause in the Customs and Excise Act. Approval of such is dependant on the foreign principal establishing a business relationship with a South African ‘Agent’. This ‘agent’ is required to be registered with the SA Revenue Service as the party representing a ‘foreign principal’ in customs affairs. At this point, the provision is being applied to business entities in BLNS countries who import or move bonded goods into or from South Africa. Future global application of this provision could boost the possibilities of a broader range of investor to favourably consider SEZ opportunities in South Africa. This option will, no doubt, not go unnoticed by the big audit firms seeking to broker ‘cross-border’ customs facilities for their multi-national clients. I perceive that more introspection is still required concerning ‘non-resident’ banking facilities and transfer pricing issues to enable the global application of the foreign principal concept. But after all this seems a good case for trade liberalisation. Add to this the forthcoming launch of Customs new integrated declaration processing system that will (in time) offer simplified electronic clearance and expedited release facilities for future SEZ clients. The Government of Jamaica has revealed ambitious plans to turn the Caribbean island in to a global logistics hub – and high level talks have already begun with the aim of increasing volumes of sea cargo. Projects under discussion include developing the Port of Kingston ahead of the expansion of the Panama Canal and the development of a new commodity port to be built in eastern Jamaica which will specifically handle petroleum products, coal, minerals and grain. At the same time, there is talk of constructing an air cargo airport to help with increased volume of boxes and the construction of large scale ship repair docks to service the increasing volume of post-panamax vessels. He added that a critical aspect of the global logistics hub initiative is the broadening of bilateral collaborations with Jamaica’s global partners, and encouraging private sector investment and financing through private-public partnerships (PPPs). Talks regarding the set-up of special economic zones are already underway with local and foreign investors. The Jamaica Ministry of Industry, Investment and Commerce, which is spearheading the initiative, says that it will help give the country a global logistics supply chain that is able to compete with the likes of Singapore, Dubai and Rotterdam. Perhaps this initiative could spur on our local authorities to actually move on ‘logistics hubs’ here in South Africa. While the huge expansion plans for our existing harbours, railroads are pursued, it is high time that the likes of Tamboekiesfontein, for instance, and other privately initiated transit hubs are taken seriously, and in an integrated manner to benefit commerce and trade in the Southern African region.